All ages Kindergarten through Adult are welcome to participate. Upon registration you will be sorted into a Hogwarts house. Work together to complete a scavenger hunt. There will be prizes. Stop by our photo booth and craft table. Registration is required for this event taking place in the meeting room. 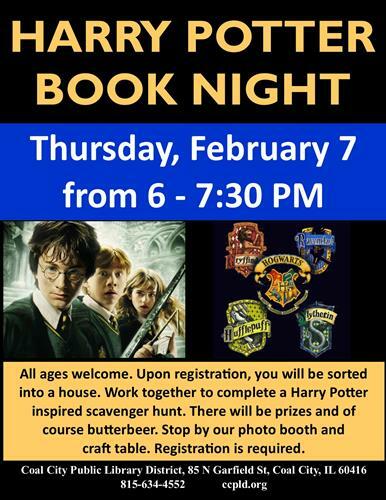 Thursday, February 7 from 6:00-7:30 pm.